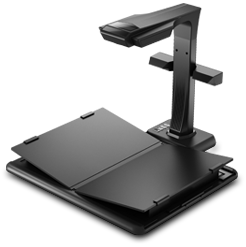 Today we review the CZUR ET16 Plus Book & Document Scanner with Smart OCR. While a book scanner might sound boring, this thing is actually very cool. All types of tech built-in (like lasers) to make the process of scanning books and papers super fast and accurate. The CZUR ET16 Plus Smart Book Scanner has these key features - CZUR ET16 Plus revolutionizes your scanning experience by bringing simple, intelligent and fast scanning performance. All books, magazines, contracts and any paper documents within size A3 can be scanned directly without cutting or damaging in the speed of 1.5s/page (Single page file = 1.5 seconds / page, book = 1.5 seconds / double page) . The CZUR ET16 Plus is also capable of scanning physical objects such as sculptures. 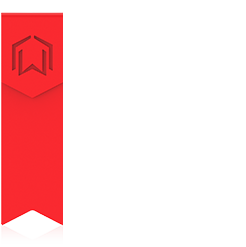 All of your scanned documents can be converted to editable Word/PDF/TIFF or JPG. Note: For the scanning of copper paper books and magazines, the need to turn off the device's LED fill light, sufficient light in the natural environment to adjust the light source to avoid the problem of reflective. Easily synchronize your files to any devices you wanted, giving you more flexibility to manage your scanned data and work. 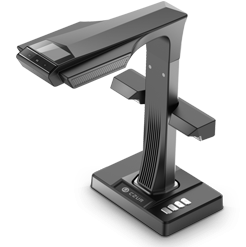 Equipped with 16-megapixel Sony HD camera, CZUR ET16 Plus can provide high-quality scanning documents. It can also be connected to computer or projector via HDMI used as visual presenter. To access your scanning files in less than 1.5 second by simply pushing one button. 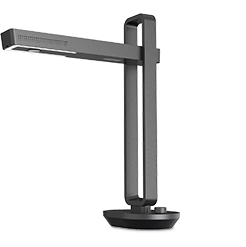 With non-contact scanning technique, the CZUR ET16 Plus can scan fragile documents without any touching damage.ET16 Plus have additional side lights. The side lights will help to reduce the glare when scanning glossy materials.